Looking for experienced local NJ plumbers for your bathroom renovation in NJ? Call us today for a FREE cost estimate for your new bathroom addition! When you have too many people and not enough bathrooms, you start running into some serious problems. Building a new bathroom addition is a natural solution, and adding a new space to your NJ home can help you avoid the expense and hassle of moving to a larger house. For bathroom additions and bathroom renovation, you’ll need experienced New Jersey plumbing contractors to install plumbing pipes and fixtures. At A1 Sewer & Drain Services, our team of experienced plumbers are available for plumbing installation for new bathroom additions and bathroom renovation in NJ. For a consultation and FREE cost estimate, call us anytime at 201-645-0888. We’re not just sewer repair services! Of all the rooms in your home, the bathrooms have the highest concentration of plumbing. If you’re building a new bathroom addition for your home, it goes without saying that you’ll need plumbing pipe installation to carry clean water into the fixtures, and drain pipe installation to carry away water into the sewer line or septic system. You’ll need licensed, certified local NJ plumbers to install pipes, drains, and fixtures. 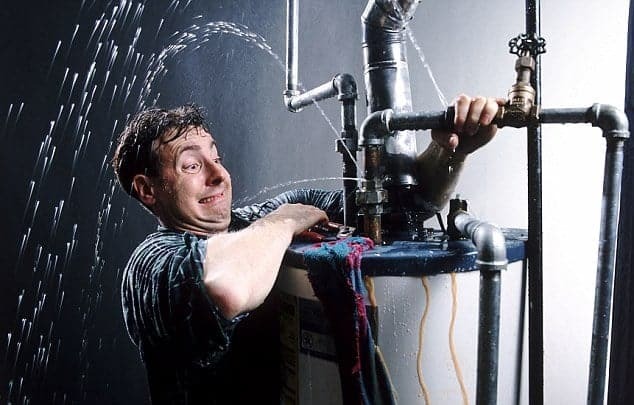 Skilled, experienced plumbing contractors will install high quality plumbing that will last for years to come. The first step for your new addition is planning. Ideally, any new bathrooms should be as close as possible to the house’s main sewer line. This makes it easier to install plumbing without breaking walls. 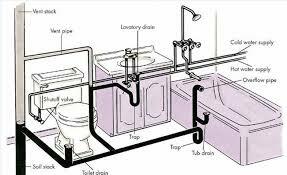 Bathrooms also need enough space to satisfy New Jersey plumbing code requirements. In most areas, the minimum size for a bathroom is 66×30″ if the toilet is across from the sink on the opposite side, or 54×48″ if the two fixtures are next to one another. Plumbing installation for a new bathroom addition generally happens after the walls have been framed, but before drywall is installed. 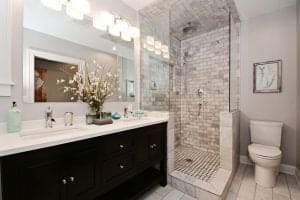 During the construction of your new bathroom addition, plumbers will need to install pipes and fixtures, which are connected with your existing plumbing. Waste pipes are installed first, connecting to the main sewer line. Toilets. Toilets come with special waste and venting requirements, which plumbers must take into consideration. Toilets are generally connected to the main soil stack, a vertical pipe that runs into the sewer line. 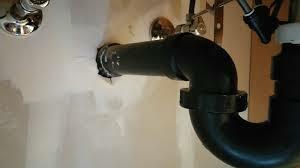 Drainage for plumbing fixtures. Sinks, showers, and bathtubs need to be connected to your existing drain and waste stack. Drain pipes and vent pipes generally need a slope of at least 1/4″ per foot to prevent clogging and backups. Water supply pipes. Water supply plumbing pipes can be made from copper, PEX, or CPVC, although standard PVC is not suitable for interior plumbing that carries clean water. These pipes are generally 1/2″ in diameter, and connect to a 3/4″ main pipe. During construction, you may also want to consider plumbing pipe or drain pipe replacement for aging galvanized steel pipes with copper or plastic, which last longer and are considered more hygienic. You’ll also need a licensed local plumber if you’re renovating an existing bathroom. Many NJ homeowners eventually remodel a bathroom, either to expand the space, or for primarily aesthetic reasons. You may need to replace old plumbing pipes, relocate showers and drains, and install new fixtures during remodeling. At A1 Sewer & Drain Services, we provide professional plumbing pipe and drain pipe installation for kitchen renovation, bathroom renovation, and new additions throughout north New Jersey. Starting with a consultation and free cost estimate, we’ll work with you to plan and build your new bathroom addition. With high quality plumbing installation from our experienced local contractors, your new bathroom will meet all local and state building codes. If you’re considering bathroom renovation or adding a new bathroom addition to your home, call us today at A1 Sewer & Drain Services for a FREE cost estimate and consultation, at 201-645-0888.